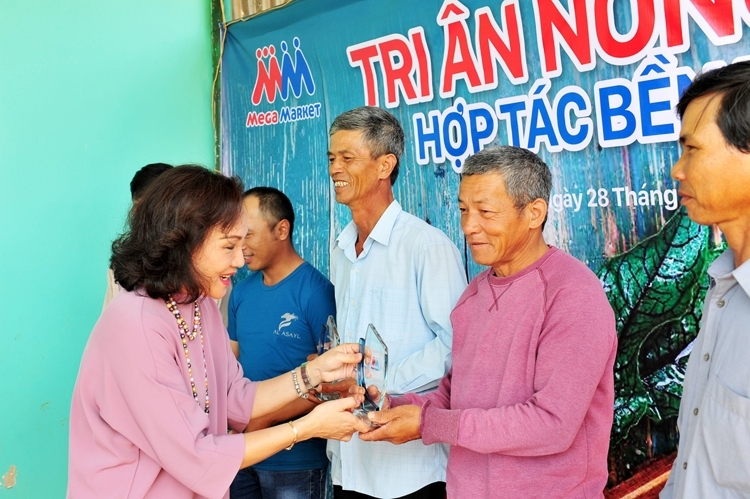 MM Mega Market Vietnam (MM) recently presented badges of honor to twenty farmers who have had over ten years working in partnership with the company to develop the Da Lat Vegetable Platform. These are twenty elite farmers out of a 300 total whom MM is working closely with in its three key source areas in Lam Dong, including Don Duong, Duc Trong and Da Lat. 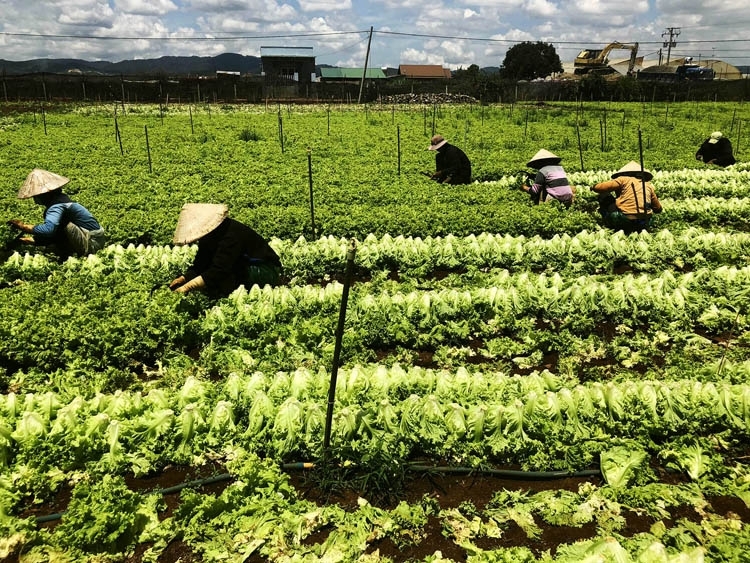 Launched in 2005, MM’s Da Lat Vegetable Platform has to date been recognized as one of the few food safety qualified facilities that supply some of the best vegetables and fruits in Vietnam. Covering a 250-ha source area, every year, this depot delivers more than 12,000 tons of VietGAP qualified vegetables and fruits meeting consumers’ demand from MM storage system across the country. “We want to develop sustainable partnerships with local farmers on a ‘win-win’ basis, and many farmers have actually had more than a decade doing business with us. We believe that only when the farmers thrive, MM can prosper, too. Going forward, to move on with our plan of exporting to the 700-mall Big C system in Thailand, we will continue widening and intensifying partnerships with the local farmers to materialize our aim of doubling the current vegetable supply capacity and expanding production land to 400 hectares", added Phidsanu. 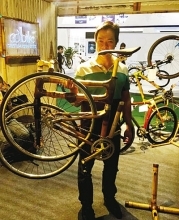 As a trailblazer in setting up and growing sustainable farming supply chains, for over a decade, MM’s Da Lat Vegetable Platform has not just offered consumers with a source of safe and quality food products, but also played an vital role in developing a local generation of modern farmers, who are qualified to meet the changing needs of farming in an economic integration age. A farmer with 10-year plus partnership with MM, Mr. Nguyen Van Do (Don Duong District, Lam Dong Province) said: “One of the best benefits working with a big name like MM is that we have assurance for our output, which gives me confidence to invest in glass houses and advanced farming equipment. MM’s consistently maintained outgrower scheme that offers specific quantity coverage and reliable prices gives us a worry-free opportunity to focus on production.” Do also believed that working with MM has not only benefited him with economic gains but also helped him change his mindset toward doing business as a modern farmer, by reflecting market demand in production while learning to know best how to use crop protection substances by existing safety standards. In pursuit of the objective of increasing exportation of Vietnamese agriproducts to other countries in the region, firstly the Thailand Big C system, with its 700 supermarkets and hypermarkets, MM is putting more efforts in developing its depot system. Recently, MM successfully exported a first batch of more than 100 tons of Vietnamese farm products, including yellow sweet potato, purple sweet potato, dragon fruit, dried fruits and rice paper, to the 700-mall Big C system in Thailand, which has been welcome by local consumers. It is promising that agriproducts supplied by the farmers working with MM are not only sold in the MM’s domestic system, but also in Thailand and, in the not too distant future, other countries that MM is doing business in. 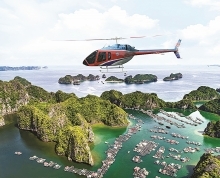 MM is now running three platforms believed to be the largest of their kinds in Vietnam - Da Lat Vegetable Platform, Can Tho Fish Platform and Dong Nai Pork Platform. At all these three depots, MM Mega Market has applied VietGAP standards in production and HACCP norms. Additionally, a fruit platform in Ben Tre is well underway to be launched soon by MM, with the main purpose of carrying out the company's plan of exporting Vietnamese fruits to Thailand.